To promote the development of substantial, practical and useful flapping-wing aircraft. 1) More than 2/3 of any and all horizontal surface areas (including such as may be required for stability and control) must be devoted to the flapping wings. 2) The flapping motion of the wings must simulate that of some flying creature, such as a bird, bat or insect. No more than four such flapping wings are permitted in the airframe design. 3) No sources of propulsion other than the powered flapping surfaces themselves are allowed on the aircraft in flight or at the launch. 4) A removable, inert payload in the form of a 16 lb. 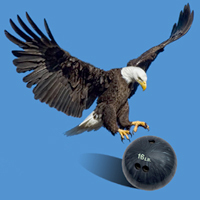 bowling ball must be included on the aircraft at all times during the contest flight. Neither the weight of any fuels, human pilots, avionic or robotic apparatus, nor any other functional items or material will be considered as acceptable payload in this connection; pets or other animals are prohibited onboard. 5) Contest flights must be made outdoors under safe conditions. The aircraft must rise from level ground under its own propulsive action and remain airborne for no less than three minutes from liftoff and thence complete a landing with both aircraft and all onboard payload intact. 6) No restrictions apply with regard to the overall size, power sources, fuels, structural materials, airframe design, etc. save those stipulated above, but the contest flight may not be assisted by any extraneous device or subterfuge. Determination of acceptability for entries in any doubtful or ambiguous situations is left solely to the discretion of the contest director. 1) There is no entry fee, nor any restriction on who may enter this contest. Entries must be submitted to the contest director via email at the address provided below. 2) Entries may be submitted at any time after the date of this announcement. There is no deadline. The winner will be determined by the earliest entry to satisfy the rule as determined by the contest director. B) An electronic motion picture or video recording of the entire contest flight, from liftoff to landing. C) Current contact information for two witnesses to the contest flight in addition to the contestant who will confirm compliance with all contest stipulations regarding design, duration of flight, payload weight, etc. A prize purse has been established with a US$1000.00 contribution from the OS officers. Additional contributions to the contest prize purse are welcome. 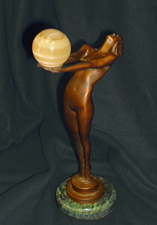 A bronze trophy commemorating the contest (pictured) will also be provided to the winner.